There is a newly opened tourist attraction in Bali which is can become your next destination when visiting Bali. 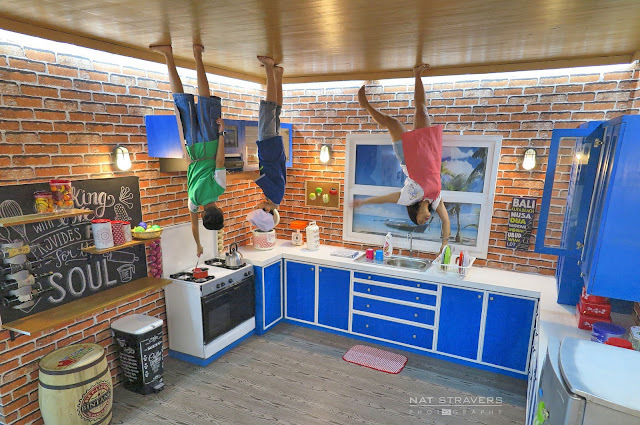 My dear friend kak Nathalie Stravers shared her experience with her family while visiting this new attraction called Upside Down World. 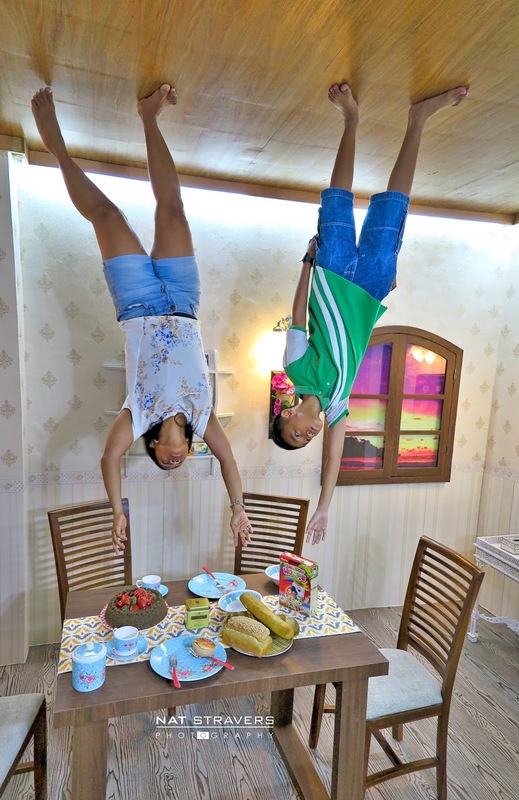 This place is Indonesia's first Upside Down World attraction, however It wasn't my first time known about this kind of place, previously I almost come to Rumah Terbalik (Upside Down House) in Mallaca, Malaysia. Beside Mallaca, this kind of attraction can be found in Sabah where they even have an upside down car in the garage. How is it like to stay in the house which built upside down? 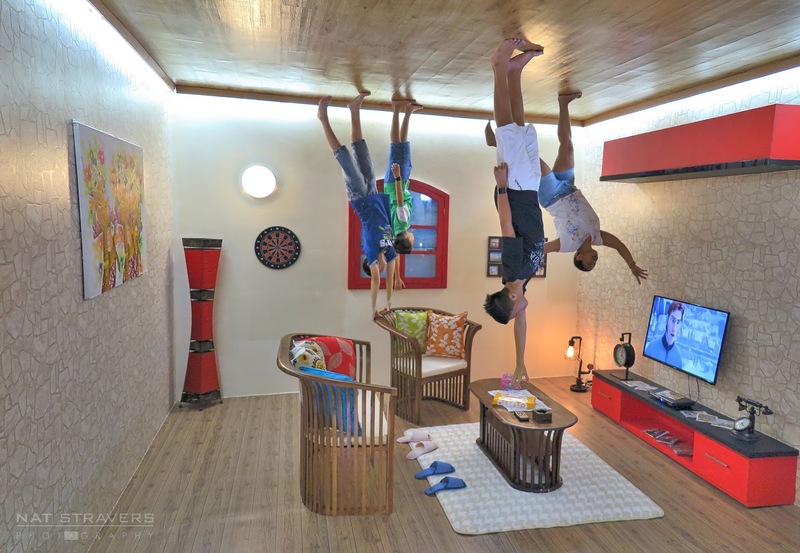 The Upside Down World, Bali is opened for public this Mar 1st 2016 and has 8 upside down rooms. It is basically like a whole house, you can found living room, bed room, laundry room, kitchen, even bathroom. Here are some pictures taken by Kak Nathalie during her visit with her family. 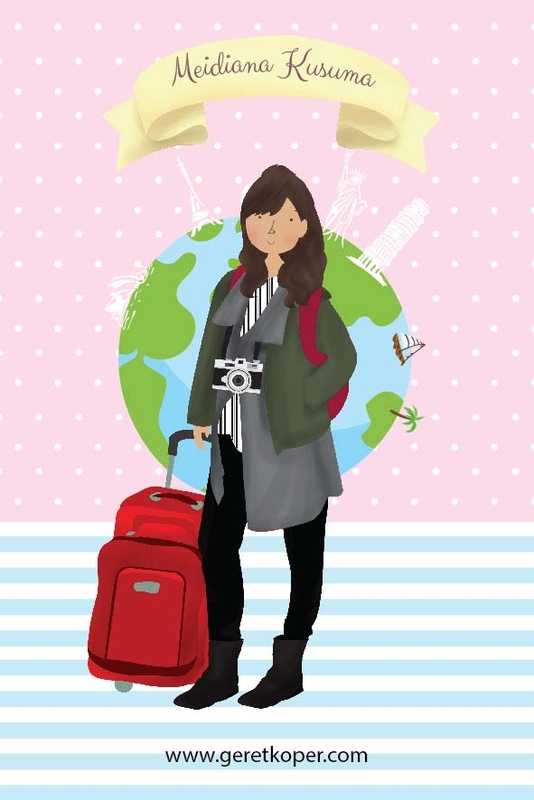 The entrance ticket to this place is IDR 100.000 for adults and IDR 50.000, well I think it is too pricey for just 8 rooms. 1. For the best shot you better bring a camera with wide lens or a GoPro to capture your photo since each room is quite small. 2. Come as early as you can, so you can get parking spot easily and to avoid long queue on taking pictures on each room. 3. Bring socks to keep off your feet not dirty as they will ask you to take off your shoes. 4. Please don't bring a lot of stuffs with you as they don't have any storage room for visitors. What do you think about this kind of attraction? Unik! Sayangnya agak mahal ya. 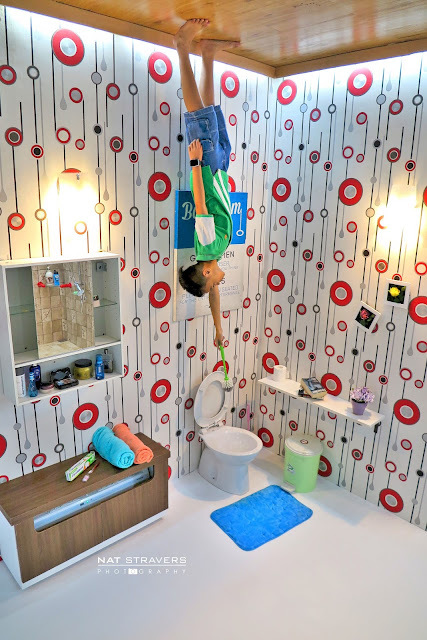 Waaaah, sekarang lagi hits banget yah kak upside down museum ini. Aku pertama kali nyobain museum kebalik balik gini jaman di Penang, abis dari sana puyeng T_T wkwkw. Biasa main di laut dan hutan, eh diajak ke museum yang kebalik balik gini.